I had this disease sometimes ago and i must tell you that pneumonia is really painful especially at the chest region. pneumonia is cause by a bacteria which cause the inflammation of the lungs. pneumonia symptoms includes chest pain, muscle aches, shallow breathing, cough, fever, tiredness, headache and body discomfort. 1. Get and grind some quantity of garlic, mix the grind-ed garlic with lime juice, squeeze out the grapes and mix with previous mixture. Then mix the mixture with honey preserve the mixture and administer 2 tea spoonful of the mixture at every 4 hours. 2. Another natural way to treat this is to ensure the person who has contacted this disease drink hot water or substance rather than cold drinks or cold water. Its safe to start drinking hot water or other liquids to be safe. Also bath with warm water instead of cold water. Take care of your health by preventing this disease using the traditional tips discussed above. 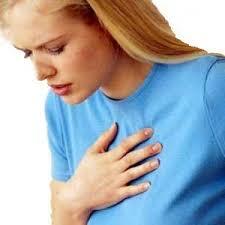 But visit your doctor as soon as you notice any cough or chest pain that refuses to go after a while. Thanks for reading.